Scaling & Polishing (Oral Prophylaxis) are to be done once in 6 months. Scaling removes plaque, tartar and polishing removes stains. It smoothens teeth so that dental plaque cannot attach easily to the teeth. Dental plaque is a soft film enveloping teeth which consists of thousands of different types of bacteria. Saliva which contains calcium and other substance to strengthen and protect the teeth also build up calcium deposits on plaque making it harder. Calcified (hardened) dental plaque is known as tartar. Brushing and flossing may remove some plaque but is unable to remove tartar. Tartar if present for longer period it will cause gum disease, tooth mobility and tooth loss. 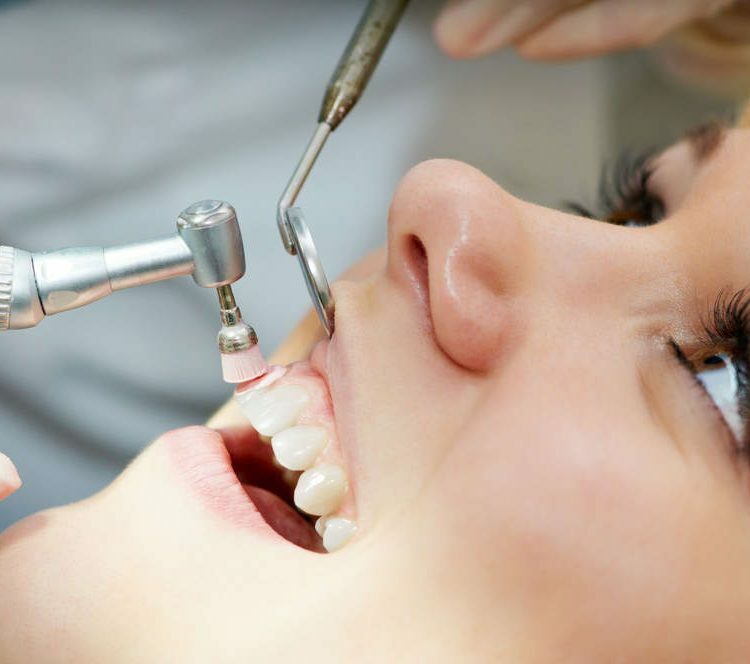 Scaling is done with ultrasonic instrument called Ultrasonic scaler, which uses vibrations to remove tartar. It also sprays a cooling mist of water while it works to wash away debris. The ultrasonic instrument tips are curved and rounded and are always kept in motion around the teeth. They are by no means sharp since their purpose is to knock tartar loose and not to cut into the teeth. So, Oral Prophylaxis doesn’t damage tooth , but it reduces the bacterial load inside the mouth thereby keeping gum and tooth healthy without disease. Once all the surfaces are smooth, Polishing is done using a soft rubber cup.